Microsoft released the RTM version of SQL Server 2017 recently. SQL Server Data Platform professionals, database administrators and SQL developers can download SQL Server 2017 Developer Edition free for non-production environment use. It is important to note for SQL programmers and database professionals that SQL Server 2017 Developer Edition is full-featured free edition which can be used to learn, develop and test SQL Server features and capabilities. Choose one from displayed free SQL Server 2017 download options. SQL programmers and database administrators can select SQL Server 2017 Developer Edition for full functionality. An executable installer SQLServer2017-SSEI-Dev.exe which is about 5.1 MB in size will popup for download or execute. You can choose to download and save it then execute it if you wish. 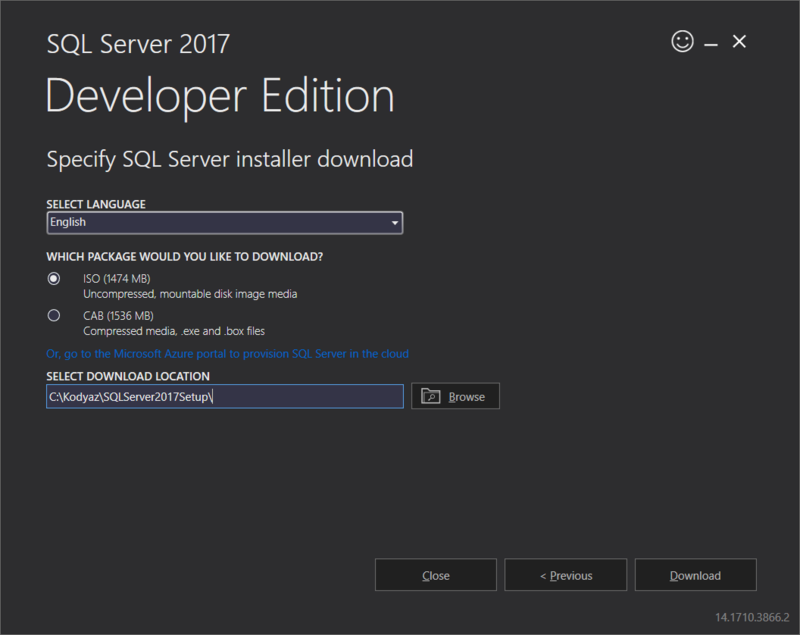 I prefer to download the SQL Server 2017 installation media so that I can install SQL Server 2017 anytime on any computer. As you can see on the installer, SQL Server 2017 RTM version of Developer Edition installer in ISO format is about 1474 MB in size. 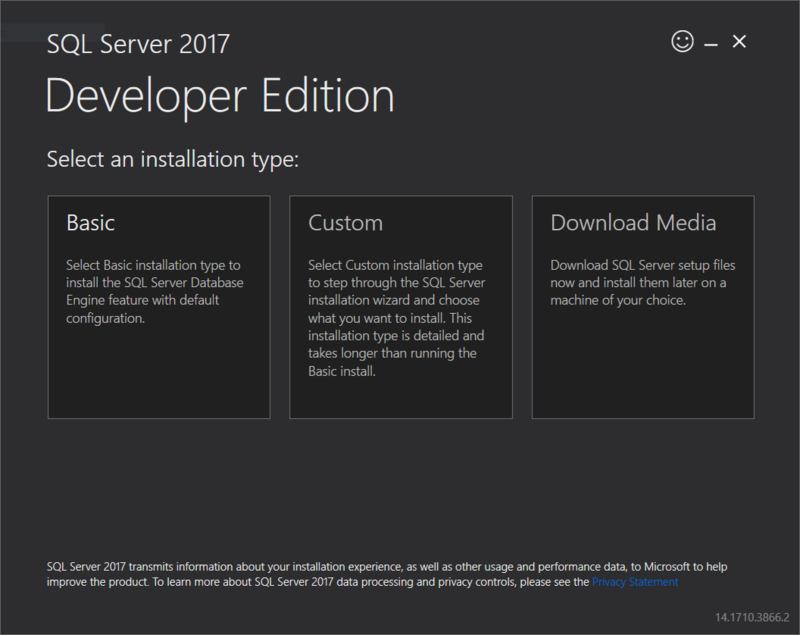 After you download SQL Server 2017, continue with step by step SQL Server 2017 installation with screenshots guide for installing your new SQL Server Data Platform and work with new features of SQL Server like SQL Server Machine Learning Services, etc.